Chancellor Merkel, he argued, should have wound up the common currency in 2012 at the latest, when it became apparent that it could not be maintained while sticking to the Treaties that underpin it and were the basis for Germany’s decision to join. He talked at length about the Target 2 balances, or rather imbalances, referring to the popular book Die Target Falle (The Target Trap) on the issue by Hans-Werner Sinn. (Target 2 is the payments system within the Euro Area that lets national central banks book deficits or surpluses with the ECB when mediating cross-border transfers between commercial banks located in different member states.) The claims held by the Bundesbank are so vast as to be irrecoverable in the case of a break-up of the Euro Area. And break-up is very likely because the ECB had committed to unlimited quantitative easing (QE) in an attempt to solve what are ultimately competitiveness problems. At some point this de facto monetary financing of government spending will be inflationary: QE, which is the only thing keeping the show on the road, will then stop. The prime beneficiaries of what he sees, despite having lost a number of related legal cases, as illegal monetary financing – are Spain and Italy: an econometric exercise he had commissioned from “colleagues” showed this clearly. His speech left the audience with a clear impression that the Euro would end up in the dustbin of history, without, though, making a clear statement as to what Germany should do to hasten that end or ensure the best possible outcome. Not all these points are entirely unreasonable. 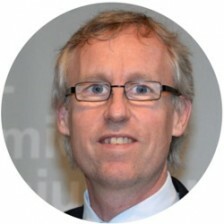 That the architecture of the Euro Area is inadequate and must be changed is not in dispute. Still there are clear problems with the analysis. Let me indicate some of the more obvious. His conclusion that the operation of the common currency area has forever to conform to the legal framework established ex ante is, to put it mildly, by no means inescapable. Why should not the partner countries and European institutions, progressively adapt a framework in the light of experience where it has clearly proved sub-optimal? This surely is the normal path of institutional development; the US dollar has a centuries-long institutional history marked by substantial change. Oddly – one might say, for an orthodox German economist – he did not mention the mandate of the ECB once. Nor that the ECB was failing “from below” to achieve that mandate, nor that quantitative easing, the purchase of government bonds with freshly “printed” central bank money, far from being a devious plan hatched in some southern European Treasury, is a policy that all the central banks of the world have implemented in the wake of the crisis. His speech also omitted that the initial run-up in Target 2 claims by the Bundesbank was very largely to finance continued net exports by Germany to Euro Area partner countries after the crisis broke. Real jobs would have been lost and profits squeezed in Germany had this source of financing not been made available. He did not let the audience in on the fact that the Bundesbank is only on the hook for any eventual losses in line with the ECB’s capital key (i.e. for around one quarter), and more generally that while Hans-Werner Sinn can claim to have launched the Target debate – and has a lucrative line in popular economics books for the German market – international monetary policy experts have been highly critical of his views. Lastly, the disproportionate benefits of QE accruing to countries such as Spain and Italy was not an underhand trick, but occurred because, from virtually identical levels, interest rates in these countries had spiked in the crisis while Germany had disproportionately benefited from the fall in its sovereign interest rates driven by the “flight to safety” – a major factor in achieving the “black zero”. In other words, Lucke levered his standing as an economist and familiarity with academic research and scientific evidence. At the same time he whetted the audience’s appetite for monetary conspiracy theories, played to their fears (e.g. of inflation or inadequate retirement income) and stoked their ressentiments about shifty southern Europeans and the weakness of domestic politicians. The analysis was not all wrong, but by omitting critical facts and arguments, by implying a zero-sum game was being played to Germany’s disadvantage, the picture he painted was heavily distorted. But I was almost certainly the only member of the audience to see it that way. Indeed, what became swiftly apparent in the Q&A session was that the audience’s appetite, and their ressentiments, were far greater than the former economics professor felt able to meet. Most attendees – somewhat disproportionately elderly and male, but not extremely so – were extremely exercised by both the Target imbalances and QE, both of which they saw as nothing short of day-light robbery. Many appeared to have read Sinn’s polemic and other monetary analyses of even more dubious quality. Weimar was mentioned more than once. They hungered for a more vitriolic denunciation of the injustice of Target 2. (Lucke demurred, tried to explain the difference between real and paper resources.) Several asked for a roadmap for Germany out of the Euro. (Lucke dodged.) They clamoured for a declaration of support for Brexit. (Lucke said Brexit is a mistake.) One called on him to explain why Germany would lose its veto position in the Council when the Brits leave, a claim I heard for the first time but which I have discovered is a hot topic on the Eurosceptic German Right. (Lucke went into the arcane Council voting rules and explained that Germany would not lose “its” veto, but that this was indeed a serious issue and “something” had to be done about it.). Finally he was asked – by a youngish, close-cropped man who seemed genuinely upset about the matter – why he had weakened the only serious party that supporters of the Right could vote for, the AfD, by leaving. (Lucke said he didn’t agree with Islamophobia, was pro-free trade and for EU and NATO membership). In a nutshell, Bernd Lucke is trying to play the nationalist-populist game: mining a seam of social or personal ressentiment, offering an external (the Euro/EU, economic migrants) lightening rod for people’s frustration with outcomes whose causes more likely lie with themselves or with domestic politics. But he is actually not all that good at it. His statements attract rightists, nationalists, monetary-conspiracy theorists. That was true in the AfD, it is true now. But he does not satisfy them. He is too wedded, for them, to wonkish details. His professorial background (and that as a Member of the European Parliament) is at once a boon and a curse. It lends him gravitas and enables him to present a sophisticated (but one-sided) picture. But he is not prepared consciously to tell outright untruths or contravene “sound” economic principles. He almost certainly preferred debating with me than engaging with some of his supporters. Worst of all for his prospects, he is reluctant to espouse simple, radical solutions. If his speech was well received, the debate left many supporters disappointed. 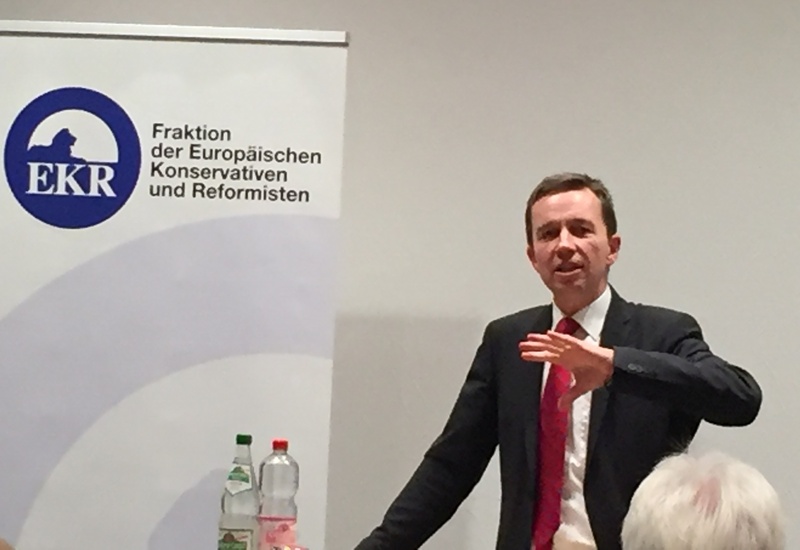 Lucke leaving the mainstream conservative CDU after more than three decades and the succession of affiliations since can be seen as symptomatic of the recent wave of realignments on the Right of European politics. The former centre-right “Volksparteien” have come under great pressure, although less dramatically in most countries than their centre-left counterparts, the social-democrats. There is an electoral space for the positions Lucke espouses, opened up by the CDU moving to the centre (again a mirror image of developments on the Left). But it is a small one. There simply aren’t enough economists obsessed with moral hazard and incentive compatibility. Not even in Germany. Throw in some of the managerial cadres and some elements in the professions, fixed-income inflation-phobes, but you just don’t get the numbers. In Germany the economic situation is too favourable to raise bitterness to the level when mainstream small-c conservatives ditch other middle-class parties. Some blue-collar workers have shifted rightwards, and might yet continue to do so, but they want protection and protectionism, not neoliberalism. Moreover, there is competition. At the latest since the FDP’s decision not to enter the so-called Jamaica coalition, it is clear that the FDP leadership are targeting the not openly racist elements of the nationalist Right, alongside traditional liberal milieus. The LKR is a bird that cannot – at least under prevailing circumstances – fly. Meanwhile support for Lucke’s old party, the AfD, has swelled; they are the third-largest force in the German parliament. Lucke and his fellow professors and neoliberals believed they could ride the tiger of nationalism and populism. But stoking ressentiments is a dangerous game and they got badly bitten. Maybe Mr. Lucke will soon join his fourth party, the FDP. Meanwhile the tiger is still on the loose.